I came across this article yesterday and just loved it. 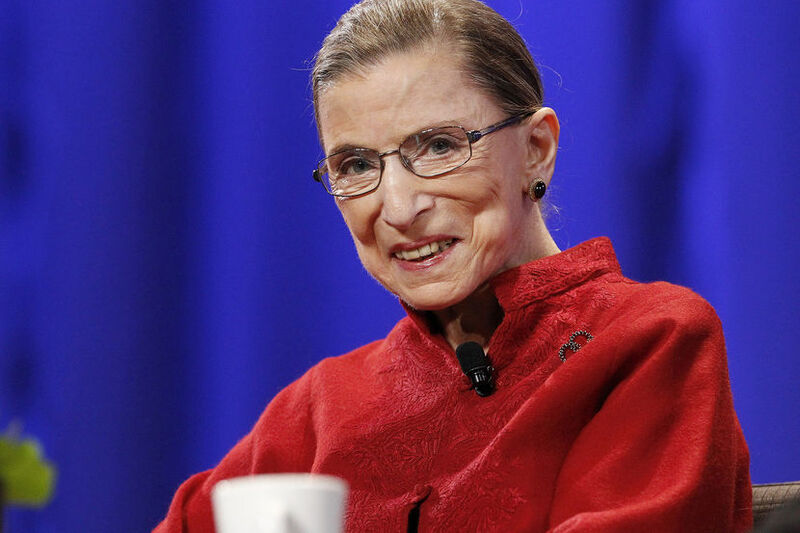 Originally published by Inc. magazine, U.S. Supreme Court Justice Ruth Bader Ginsburg gives valuable advice about how to raise trail-blazing daughters! 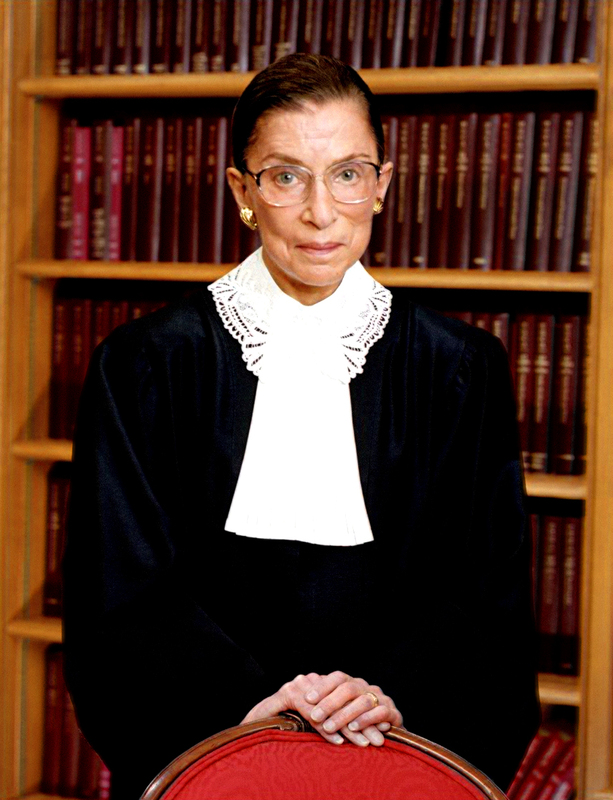 Popularly known as "Notorious RBG" for her fierce advocacy for women's rights, Ginsburg was the first tenured female professor at Columbia Law School, founder of the American Civil Liberties Union’s Women’s Rights Project, and second female Supreme Court justice, appointed by President Clinton in 1993. Ginsburg, a daughter to immigrants, is the very definition of "trail-blazing" herself....from conquering several instances of gender-discrimination to knocking down barriers, Ginsburg cleared the path by walking it...all the while raising her children. If she's speaking, I'm definitely listening. Even though the advice was geared towards mothers raising daughters, it is valuable advice, no matter how old you are. Our mothers may have done their best to raise us to be outstanding women, but there is no limit to self-growth! Here's to trail-blazing women, everywhere! 1. Foster a love of reading. No matter what you hope for your child, or what she hopes for herself, there's no better thing you can impart than a love of reading. It's truly a passport to explore the world, barely discriminates between rich and poor, and can expand and train her mind. It's important enough that it's the first thing Ginsburg mentions in her article, and she credits her mother, who "by her example, made reading a delight." Sadly, Ginsburg's mother battled cervical cancer, and died young, reportedly the day before Ruth's high school graduation ceremony. Ginsburg later called her mother, "the bravest and strongest person I have known, who was taken from me much too soon." This is truly the second most important thing: ensuring that they learn who they really are, and remain true to themselves. Society pulls people in so many different directions, trying to shape us into roles that we might not really want for ourselves. I'm speaking as a man, but it's easy to see how this is even more challenging for women. Again, Ginsburg credits her mother for fostering this streak in her. It was her mother, she writes, who "counseled me constantly to 'be independent,' able to fend for myself, whatever fortune might have in store for me." 3. Encourage them to seek out great teachers. Many of us can remember one or two teachers who made a real difference in our lives. Ginsburg cites two: a college professor and a law school professor. She credits the latter, Gerald Gunther at Columbia Law School, with helping her achieve her first big career break--a clerkship with a federal district judge. It's of note that Ginsburg graduated near the top of her class in 1960 but was not able to get an even more prestigious clerkship with an appellate judge, because she was a woman and the mother of a 4-year-old child. 4. Encourage them to turn a deaf ear when needed. 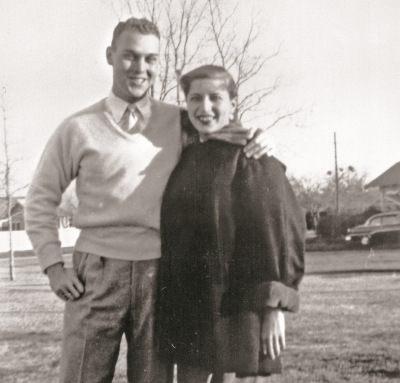 The best advice she ever received, Ginsburg said, was from her new mother-in-law told her on her wedding day in 1954: "In every good marriage, it helps sometimes to be a little deaf." Sure, it helped in marriage, Ginsburg said, but added: "I have employed it as well in every workplace, including the Supreme Court. When a thoughtless or unkind word is spoken, best tune out. Reacting in anger or annoyance will not advance one's ability to persuade." One of the best examples comes from an equal rights case Ginsburg argued before the Supreme Court as a lawyer in 1979. Having made her argument, one of the justices--they were all men at that time--asked her (perhaps jokingly) whether she'd be willing to settle for having Susan B. Anthony on the then-new dollar coin. Ginsburg thought of the perfect quip--"No, we won't settle for tokens"--but later said she decided to turn a deaf ear, and simply didn't answer the justice's question. 5. Encourage them to set aside their worries--and simply achieve. In retrospect, most things in life seem inevitable, but this would be a good time to consider just how unlikely Ginsburg's assent and career have been. She didn't grow up with money, and her family faced tragedy twice before she was 18--the death of not only her mother but also her 6-year-old sister. When Ginsburg decided to go to law school, only 3 percent of attorneys were women, and there was only one female appellate judge in America. Moreover, there were no laws prohibiting employers from simply firing women who became pregnant--heck, we were still 20 years away from laws ensuring that women could open credit cards in their own names. Ginsburg writes about how some simple advice her father-in-law gave her at the time that inspired her: "Stop worrying, and find a way to manage." 6. Teach them that they can make their own luck. Before law school, Ginsburg was demoted at a job for becoming pregnant. Sexism was so systemic under the law that one of her first cases as a lawyer before the Supreme Court challenged a state law that set different legal drinking ages for men and women. And when she became a professor for the first time at Rutgers University, she was paid less than her male colleagues, because it was expected she could always rely on her husband's salary. As she puts it, though: "I was ... alive and a lawyer when, for the first time in United States history, it became possible to urge, successfully, before legislatures and courts, the equal-citizenship stature of women and men as a fundamental constitutional principle." All of this reminds us that while circumstances may play a part in terms of opportunity, it's also your reaction to those circumstances that spins fate. People who understand that are more likely to succeed. 7. Pray that they marry the right person. My fellow columnist Jeff Haden has written recently how important it is to marry the correct person. In the most touching part of her advice column, Ginsburg leaves no doubt that she did choose her spouse wisely. 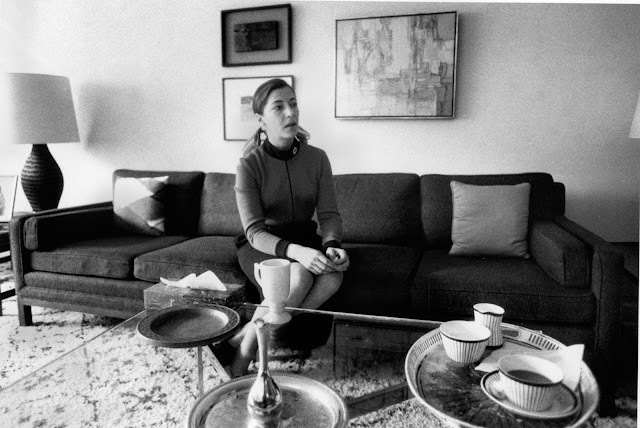 She met her husband, Martin Ginsburg, while they were both students at Cornell. He became a lawyer as well, and as his wife's judicial career took off, he sacrificed for her--moving from New York to Washington, for example, and getting rid of potentially lucrative investments that could have created conflicts of interest for her. Plus, he did all the cooking. 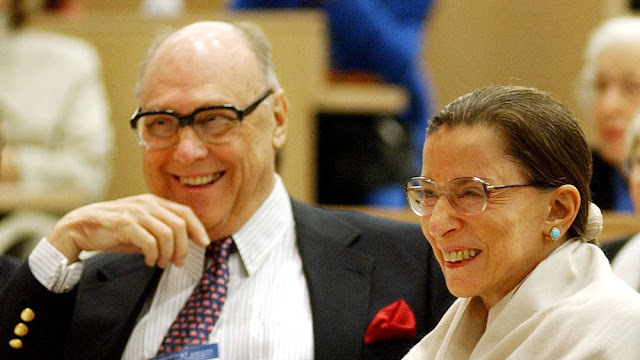 "I have had more than a little bit of luck in life, but nothing equals in magnitude my marriage to Martin D. Ginsburg. I do not have words adequate to describe my supersmart, exuberant, ever-loving spouse. ... Marty coached me through the birth of our son, he was the first reader and critic of articles, speeches and briefs I drafted, and he was at my side constantly, in and out of the hospital, during two long bouts with cancer. And I betray no secret in reporting that, without him, I would not have gained a seat on the Supreme Court." 2. Regardless of which direction life pulls me, never loose trust in your independent capabilities! 3. Find good mentors who are where you want to be and stay in touch with them! 4. Not every rude comment requires a response at all. Focus on the goal! 5. Worrying never solved any problem. Stay focused! 6. You will never know unless you try! 7. Marry a partner who is your biggest cheerleader! Be Confident! Be Fierce! Be high-achieving! Source: Article written by Inc. Magazine. All rights reserved by Inc. magazine.